This article is about the Mughal emperor. For other uses, see Akbar (disambiguation). Abu'l-Fath Jalal-ud-din Muhammad Akbar  (Persian: ابو الفتح جلال الدين محمد اكبر; October 1542 [lower-alpha 1] – 27 October 1605   ), popularly known as Akbar I (IPA: [əkbər] ),  also as Akbar the Great     (Akbar-i-azamاکبر اعظم), was the third Mughal emperor, who reigned from 1556 to 1605. Akbar succeeded his father, Humayun, under a regent, Bairam Khan, who helped the young emperor expand and consolidate Mughal domains in India. A strong personality and a successful general, Akbar gradually enlarged the Mughal Empire to include nearly all of the Indian Subcontinent north of the Godavari river. His power and influence, however, extended over the entire country because of Mughal military, political, cultural, and economic dominance. To unify the vast Mughal state, Akbar established a centralised system of administration throughout his empire and adopted a policy of conciliating conquered rulers through marriage and diplomacy. To preserve peace and order in a religiously and culturally diverse empire, he adopted policies that won him the support of his non-Muslim subjects. Eschewing tribal bonds and Islamic state identity, Akbar strove to unite far-flung lands of his realm through loyalty, expressed through an Indo-Persian culture, to himself as an emperor who had near-divine status. The Mughal Emperors, from the early 16th century to the mid 19th century, built and ruled the Mughal Empire on the Indian subcontinent, mainly corresponding to the modern countries of India, Pakistan, Afghanistan and Bangladesh. The Mughals were a branch of the Timurid dynasty of Turco-Mongol origin from Central Asia. Their power rapidly dwindled during the 18th century and the last emperor was deposed in 1857, with the establishment of the British Raj. Mughal emperors were of direct descent from Timur, and also affiliated with Genghis Khan, because of Tamerlane’s marriage with a Genghisid princess. Nasir-ud-Din Muḥammad, better known by his regnal name, Humayun, was the second emperor of the Mughal Empire, who ruled over territory in what is now Afghanistan, Pakistan, Northern India and Bangladesh from 1530–1540 and again from 1555–1556. Like his father, Babur, he lost his kingdom early but regained it with the aid of the Safavid dynasty of Persia, with additional territory. At the time of his death in 1556, the Mughal Empire spanned almost one million square kilometres. Akbar's reign significantly influenced the course of Indian history. During his rule, the Mughal empire tripled in size and wealth. He created a powerful military system and instituted effective political and social reforms. By abolishing the sectarian tax on non-Muslims and appointing them to high civil and military posts, he was the first Mughal ruler to win the trust and loyalty of the native subjects. He had Sanskrit literature translated, participated in native festivals, realising that a stable empire depended on the co-operation and good-will of his subjects. Thus, the foundations for a multicultural empire under Mughal rule were laid during his reign. 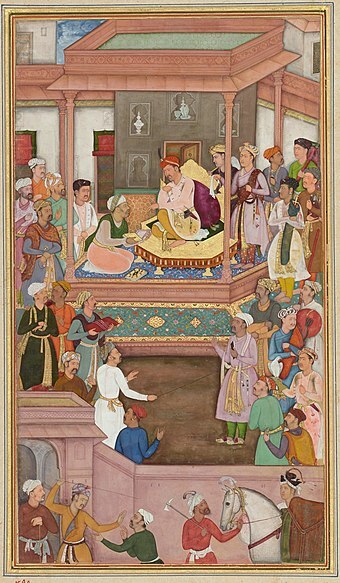 Akbar was succeeded as emperor by his son, Prince Salim, later known as Jahangir. Jizya or jizyah is a per capita yearly tax historically levied on non-Muslim subjects, called the dhimma, permanently residing in Muslim lands governed by Islamic law. Muslim jurists required adult, free, sane males among the dhimma community to pay the jizya, while exempting women, children, elders, handicapped, the ill, the insane, monks, hermits, slaves, and musta'mins—non-Muslim foreigners who only temporarily reside in Muslim lands. Dhimmis who chose to join military service were also exempted from payment, as were those who could not afford to pay. Sanskrit literature refers to texts composed in Sanskrit language since the 2nd-millennium BCE. Many of the prominent texts are associated with Indian religions, i.e., Hinduism, Buddhism, and Jainism, and were composed in ancient India. However, others were composed central, East or Southeast Asia and the canon includes works covering secular sciences and the arts. Early works of Sanskrit literature were transmitted through an oral tradition for centuries before they were written down in manuscript form. Nur-ud-din Muhammad Salim, known by his imperial name Jahangir, was the fourth Mughal Emperor, who ruled from 1605 until his death in 1627. His imperial name, means 'conqueror of the world', 'world-conqueror' or 'world-seizer'. The tale of his relationship with the Mughal courtesan, Anarkali, has been widely adapted into the literature, art and cinema of India. 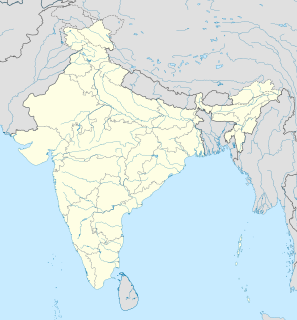 Chausa is a block in the Buxar district of Bihar, India. It is situated at the bank of river Ganga. It is a rural block with a population of 42,550 and a literacy rate of 47%. Chausa is located 11 km towards west from the district headquarters, Buxar. It is a block headquarters. Kannauj, is a city, administrative headquarters and a municipal board or Nagar Palika Parishad in Kannauj district in the Indian state of Uttar Pradesh. The city's name is a modern form of the classical name Kanyakubja. It was also known as Mahodaya during the time of Gurjara-Pratihara Emperor Mihira Bhoja, around the 9th century. Sher Shah Suri, born Farīd Khān, was the founder of the Suri Empire in the northern part of the Indian subcontinent, with its capital in Sasaram in modern-day Bihar. An ethnic Afghan Pashtun, Sher Shah took control of the Mughal Empire in 1538. 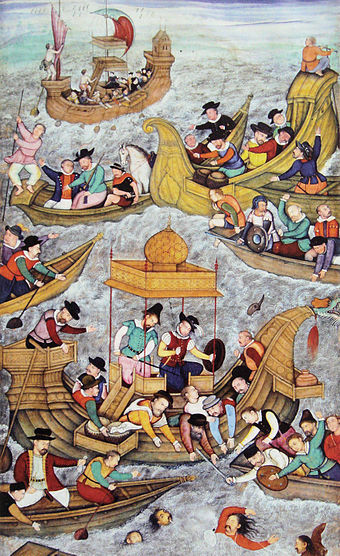 After his accidental death in 1545, his son Islam Shah became his successor. He first served as a private before rising to become a commander in the Mughal army under Babur and then the governor of Bihar. In 1537, when Babur's son Humayun was elsewhere on an expedition, Sher Shah overran the state of Bengal and established the Suri dynasty. A brilliant strategist, Sher Shah proved himself as a gifted administrator as well as a capable general. His reorganization of the empire laid the foundations for the later Mughal emperors, notably Akbar, son of Humayun. Kamran Mirza, also known simply as Kamran, was the second son of Babur, the founder of the Mughal Empire and the first Mughal Emperor. Kamran Mirza was born in Kabul to Babur's wife Gulrukh Begum. 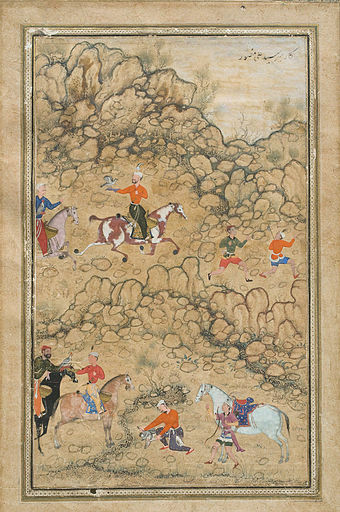 He was half-brother to Babur's eldest son Humayun, who would go on and inherit the Mughal throne, but he was full-brother to Babur's third son, Askari. Muhammad Askari Mirza, sometimes known simply as Askari was a son of Babur Mirza, the founder of the Mughal dynasty and Gulrukh Begum. He died on a hajj. Ruqaiya Sultan Begum was empress consort of the Mughal Empire from 1557 to 1605 as the first wife and chief consort of the third Mughal emperor Akbar. She was also the longest serving Mughal empress, having a tenure of almost fifty years. A jagir, also spelled as jageer, was a type of feudal land grant in the Indian subcontinent at the foundation of its Jagirdar system. It developed during the Islamic rule era of the Indian subcontinent, starting in the early 13th century, wherein the powers to govern and collect tax from an estate was granted to an appointee of the state. The tenants were considered to be in the servitude of the jagirdar. There were two forms of jagir, one being conditional and the other unconditional. The conditional jagir required the governing family to maintain troops and provide their service to the state when asked. The land grant was called iqta, usually for a holder's lifetime, and the land reverted to the state upon the death of the jagirdar. The revenue department was headed by a wazir, responsible for all finances and management of jagir and inam lands. The head of the military was called the mir bakshi, appointed from among the leading nobles of the court. The mir bakshi was in charge of intelligence gathering, and also made recommendations to the emperor for military appointments and promotions. Akbar was a follower of Salim Chishti, a holy man who lived in the region of Sikri near Agra. Believing the area to be a lucky one for himself, he had a mosque constructed there for the use of the priest. 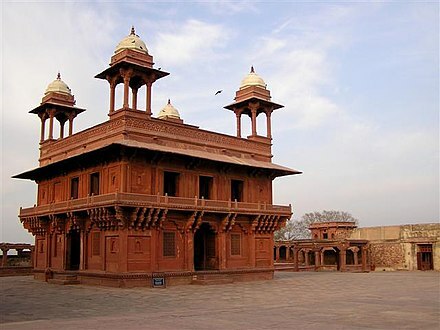 Subsequently, he celebrated the victories over Chittor and Ranthambore by laying the foundation of a new walled capital, 23 miles (37 km) west of Agra in 1569, which was named Fatehpur ("town of victory") after the conquest of Gujarat in 1573 and subsequently came to be known as Fatehpur Sikri in order to distinguish it from other similarly named towns. Palaces for each of Akbar's senior queens, a huge artificial lake, and sumptuous water-filled courtyards were built there. However, the city was soon abandoned and the capital was moved to Lahore in 1585. The reason may have been that the water supply in Fatehpur Sikri was insufficient or of poor quality. Or, as some historians believe, Akbar had to attend to the northwest areas of his empire and therefore moved his capital northwest. Other sources indicate Akbar simply lost interest in the city  or realised it was not militarily defensible. In 1599, Akbar shifted his capital back to Agra from where he reigned until his death. 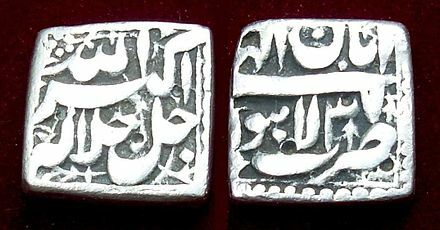 Silver coin of Akbar with inscriptions of the Islamic declaration of faith, the declaration reads: "There is no god except Allah, and Muhammad is the messenger of Allah." Akbar was a great innovator as far as coinage is concerned. The coins of Akbar set a new chapter in India's numismatic history. The coins of Akbar's grandfather, Babur, and father, Humayun, are basic and devoid of any innovation as the former was busy establishing the foundations of the Mughal rule in India while the latter was ousted by the Afghan, Farid Khan Sher Shah Suri, and returned to the throne only to die a year later. While the reign of both Babur and Humayun represented turmoil, Akbar's relative long reign of 50 years allowed him to experiment with coinage. Akbar introduced coins with decorative floral motifs, dotted borders, quatrefoil and other types. His coins were both round and square in shape with a unique 'mehrab' (lozenge) shape coin highlighting numismatic calligraphy at its best. Akbar's portrait type gold coin (Mohur) is generally attributed to his son, Prince Salim (later Emperor Jahangir), who had rebelled and then sought reconciliation thereafter by minting and presenting his father with gold Mohur's bearing Akbar's portrait. 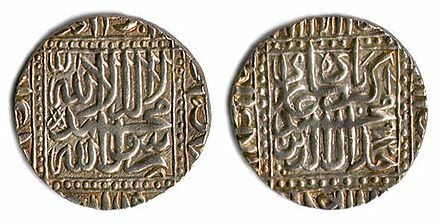 The tolerant view of Akbar is represented by the 'Ram-Siya' silver coin type while during the latter part of Akbar's reign, we see coins portraying the concept of Akbar's newly promoted religion 'Din-e-ilahi' with the Ilahi type and Jalla Jalal-Hu type coins. The coins, left, represent examples of these innovative concepts introduced by Akbar that set the precedent for Mughal coins which was refined and perfected by his son, Jahangir, and later by his grandson, Shah Jahan. An Emperor shall be ever Intent on Conquest, Otherwise His enemies shall rise in arms against him. 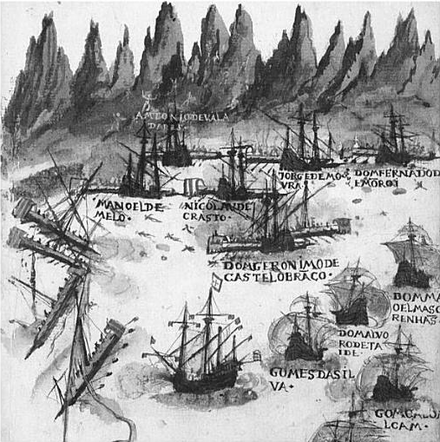 Portuguese ambush against the galleys of Seydi Ali Reis (Akbar's allies) in the Indian Ocean. 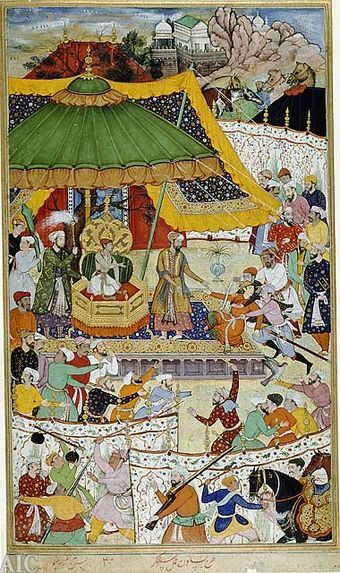 The Mughal Emperor Akbar welcomes his son Prince Salim at Fatehpur Sikri, (Akbarnameh). Emperor of Islam, Emir of the Faithful, Shadow of God on earth, Abul Fath Jalal-ud-din Muhammad Akbar Badshah Ghazi (whose empire Allah perpetuate), is a most just, most wise, and a most God-fearing ruler. The Lord to me the Kingdom gave, He made me wise, strong and brave, He guides me through right and truth, Filling my mind with the love of truth, No praise of man could sum his state, Allah Hu Akbar, God is Great. 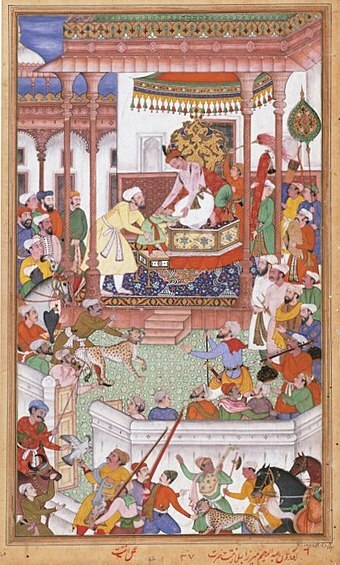 Akbar's reign was chronicled extensively by his court historian Abul Fazl in the books Akbarnama and Ain-i-akbari. Other contemporary sources of Akbar's reign include the works of Badayuni, Shaikhzada Rashidi and Shaikh Ahmed Sirhindi. He is said to have been extremely moderate in his diet. Ain-e-Akbari mentions that during his travels and also while at home, Akbar drank water from the Ganges river, which he called 'the water of immortality'. Special people were stationed at Sorun and later Haridwar to dispatch water, in sealed jars, to wherever he was stationed. [ better source needed ] According to Jahangir's memoirs, he was fond of fruits and had little liking for meat, which he stopped eating in his later years. Akbar also once visited Vrindavan, the birthplace of Krishna in the year 1570, and gave permission for four temples to be built by the Gaudiya Vaisnavas, which were Madana-mohana, Govindaji, Gopinatha and Jugal Kisore. 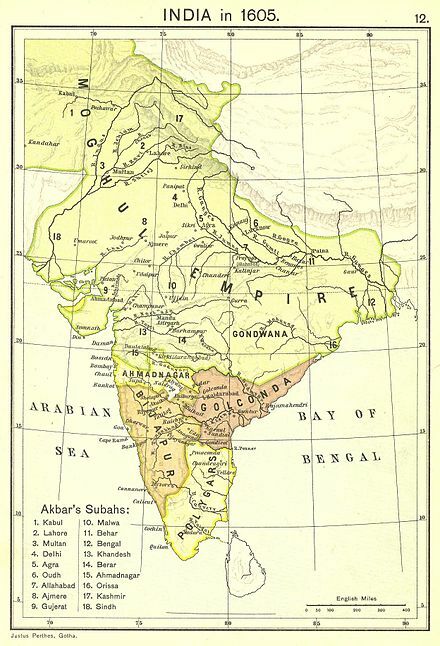 Akbar left a rich legacy both for the Mughal Empire as well as the Indian subcontinent in general. He firmly entrenched the authority of the Mughal Empire in India and beyond, after it had been threatened by the Afghans during his father's reign,  establishing its military and diplomatic superiority. During his reign, the nature of the state changed to a secular and liberal one, with emphasis on cultural integration. He also introduced several far-sighted social reforms, including prohibiting sati , legalising widow remarriage and raising the age of marriage. Folk tales revolving around him and Birbal, one of his navratnas, are popular in India. Akbar was portrayed in the award-winning 1960 Hindi movie Mughal-e-Azam (The great Mughal), in which his character was played by Prithviraj Kapoor. Akbar was portrayed by Hrithik Roshan in the 2008 Bollywood film Jodhaa Akbar . Akbar and Birbal were portrayed in the Hindi series Akbar-Birbal aired on Zee TV in late 1990s where Akbar's role was played by Vikram Gokhale. A television series, called Akbar the Great, directed by Akbar Khan was aired on DD National in the 1990s. Since 2013-2015, a television series, called Jodha Akbar aired on Zee TV, in which the role of Akbar was played by actor Rajat Tokas. Akbar was portrayed by Uday Tikekar in EPIC channel's critically acclaimed historical drama Siyaasat (based on the novel The Twentieth Wife). In Sony TV's historical drama Bharat Ka Veer Putra - Maharana Pratap , Akbar was at first portrayed by Krip Suri and later by Avinesh Rekhi. Akbar is portrayed by Kiku Sharda in BIG Magic's sitcom Akbar Birbal . Mohammed Iqbal Khan played the role of Akbar in ABP News' documentary series, Bharatvarsh. Akbar is a principal character in Indu Sundaresan's award-winning historical novel The Twentieth Wife (2002) as well as in its sequel The Feast of Roses (2003). A fictionalised Akbar plays an important supporting role in Kim Stanley Robinson's 2002 novel, The Years of Rice and Salt . Akbar is also a major character in Salman Rushdie's 2008 novel The Enchantress of Florence . Bertrice Small is known for incorporating historical figures as primary characters in her romance novels, and Akbar is no exception. He is a prominent figure in two of her novels, and mentioned several times in a third, which takes place after his death. In This Heart of Mine the heroine becomes Akbar's fortieth "wife" for a time, while Wild Jasmine and Darling Jasmine centre around the life of his half-British daughter, Yasaman Kama Begum (alias Jasmine). 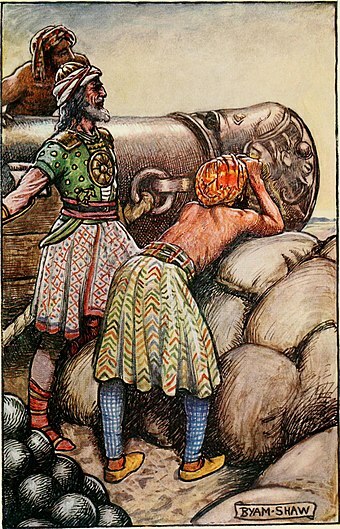 Akbar is mentioned as 'Raja Baadshah' in the Chhattisgarhi folktale of "Mohna de gori kayina"
Akbar is the main character in Empire of the Moghul: Ruler of the World by Alex Rutherford, the third book in a quintet based on the five great Mughal Emperors of the Mughal Dynasty. Akbar is featured in the video game Sid Meier's Civilization IV: Beyond the Sword as a "great general" available in the game. Akbar is also the AI Personality of India in the renowned game Age of Empires III: The Asian Dynasties . 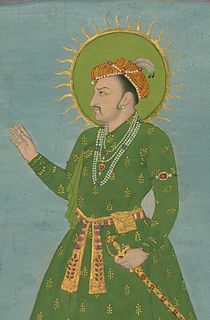 Shahab-ud-din Muhammad Khurram, better known by his regnal name Shah Jahan, (Persian: شاه جهان; "King of the World"), was the fifth Mughal emperor, who reigned from 1628 to 1658. 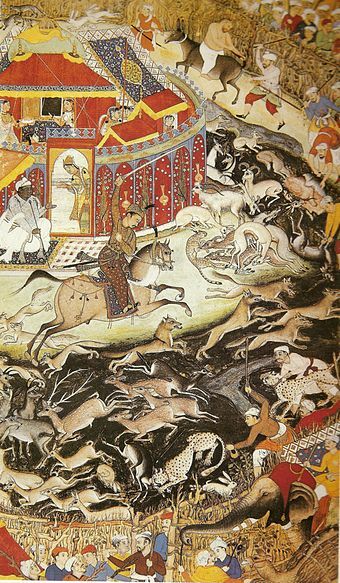 The Second Battle of Panipat was fought on November 5, 1556, between Chief Minister of Adil Shah Suri Hem Chandra Vikramaditya and forces of Mughal Emperor Akbar. 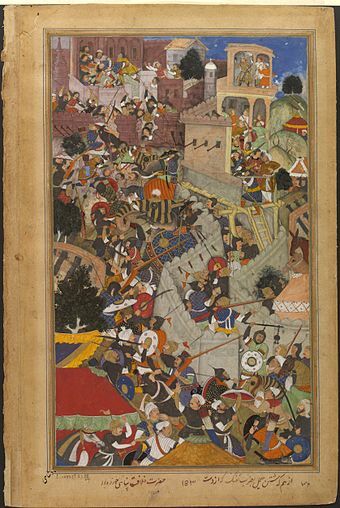 Hemu had conquered the states of Delhi and Agra a few weeks earlier by defeating the Mughals led by Tardi Beg Khan at the Battle of Delhi and proclaimed himself Raja Vikramaditya at a coronation in Purana Quila in Delhi. Akbar and his guardian Bairam Khan who, after listening the news of losing Agra and Delhi, had marched to Panipat to reclaim the lost territories. The two armies clashed at Panipat not far from the site of the First Battle of Panipat of 1526. Bairam Khan also Bayram Khan was an important military commander, later commander-in-chief of the Mughal army, a powerful statesman and regent at the court of the Mughal Emperors, Humayun and Akbar. He was also guardian, chief mentor, adviser, teacher and the most trusted ally of Akbar. Humayun honored him as Khan-i-Khanan, which means "King of Kings". Bairam was originally called Bairam "Beg", but later became honored as 'Kha' or Khan. Khanzada Mirza Khan Abdul Rahim Khan-e-Khana, also known as Rahim was a poet who lived during the rule of Mughal emperor Akbar. He was one of the nine important ministers (dewan) in his court, also known as the Navaratnas. Rahim is known for his Urdu couplets and his books on astrology. The village of Khan Khana, which is named after him, is located in the Nawanshahr district of the state of Punjab, India. Raja Bihari Mal, also known as Bharmal, Bhagmal and Bihar Mal, was a Rajput ruler of Amer, which was later known as Jaipur, in the present-day Rajasthan state of India. Khusrau Mirza or Prince Khusrau was the eldest son of the Mughal emperor Jahangir. Hamida Banu Begum was a wife of the second Mughal emperor Humayun and the mother of his successor, the third Mughal emperor Akbar. She is also known by the title Maryam Makani, which was given to her by her son, Akbar. Daniyal Mirza was an Imperial Prince of the Mughal Empire who served as the Viceroy of Deccan. He was the third son of Emperor Akbar the Great and the brother of the Emperor Jahangir. Salima Sultan Begum was the fourth wife of Emperor Akbar. Mah Chuchak Begum was a wife of the second Mughal emperor Humayun. She was an ambitious lady who threw out the Naib Subadar and ruled Kabul on her own, once leading her army in person and defeating Munim Khan at Jalalabad. Kandahari Begum was the first wife of the Mughal emperor Shah Jahan. Nur-un-Nissa Begum meaning 'Light among Women', was a Timurid princess, the daughter of Ibrahim Husain Mirza. She was empress consort of the Mughal Empire as the wife of fourth Mughal emperor Jahangir. Khas Mahal, meaning "The exquisite one of the palace", was Empress consort of the Mughal Empire as the wife of Mughal emperor Jahangir. Sakina Banu Begum was a Mughal princess, the daughter of Mughal emperor Humayun. Shakr-un-Nissa Begum was a Mughal princess, the daughter of Emperor Akbar. Hushang Mirza or Hoshang Mirza was a Mughal prince and grandson of the third Mughal emperor, Akbar. He was the youngest son of Daniyal Mirza and nephew of the fourth Mughal emperor, Jahangir. 1 2 Eraly, Abraham (2004). The Mughal Throne: The Saga of India's Great Emperors. Phoenix. pp. 115, 116. ISBN 978-0-7538-1758-2. ↑ Chandra, Satish (2005). Medieval India : from Sultanat to the Mughals (Revised ed.). New Delhi: Har-Anand Publications. p. 95. ISBN 9788124110669. 1 2 3 Jahangir, Emperor of Hindustan (1999). The Jahangirnama: Memoirs of Jahangir, Emperor of India . Translated by Thackston, Wheeler M. Oxford University Press. p. 437. ISBN 978-0-19-512718-8. Ruqayya-Sultan Begam, the daughter of Mirza Hindal and wife of His Majesty Arsh-Ashyani [Akbar], had passed away in Akbarabad. She was His Majesty's chief wife. Since she did not have children, when Shahjahan was born His Majesty Arsh-Ashyani entrusted that "unique pearl of the caliphate" to the begam's care, and she undertook to raise the prince. She departed this life at the age of eighty-four. ↑ Lal, Ruby (2005). Domesticity and power in the early Mughal world. Cambridge University Press. p. 205. ISBN 978-0-521-85022-3. ↑ Burke, S. M. (1989). Akbar, the greatest Mogul. Munshiram Manoharlal Publishers. p. 142. 1 2 Ballhatchet, Kenneth A. "Akbar". Encyclopedia Britannica. Retrieved 17 July 2017. ↑ Black, Antony (2011). The History of Islamic Political Thought: From the Prophet to the Present. Edinburgh University Press. p. 245. ISBN 9780748688784. ↑ Eraly, Abraham (2000). Emperors of the Peacock Throne : The Saga of the Great Mughals. Penguin books. p. 189. ISBN 978-0-14-100143-2. ↑ "Akbar I". Encyclopaedia Iranica. 29 July 2011. Retrieved 18 January 2014. ↑ "Akbar I". Oxford Reference. 17 February 2012. doi:10.1093/acref/9780199546091.001.0001/acref-9780199546091-e-209 . Retrieved 18 January 2014. 1 2 Tharoor, Ishaan (4 February 2011). "Top 25 Political Icons:Akbar the Great". Time. ↑ "The reign of Akbar the Great Extension and consolidation of the empire". Encyclopedia Britannica. Retrieved 4 July 2018. ↑ "Akbar the Great". Biography.com. Retrieved 5 July 2018. ↑ Collier, Dirk (1 July 2011). The Emperor'S Writings - Memories Of Akbar The Great. Netherlands: Amaryllis Books and Lannoo(Dutch). ISBN 9788191067361. ↑ Vincent A.Smith (13 July 2015). Akbar, the Great Mogul. London: Forgotten Books. ISBN 978-1-331-88395-1. ↑ Wiegand & Davis 1994, p. 271. ↑ Banjerji, S.K. (1938). Humayun Badshah. Oxford University Press. ↑ Fazl, Abul. 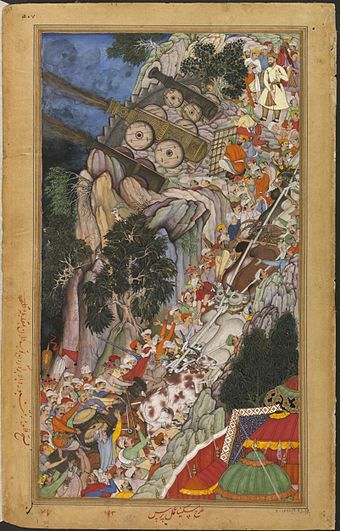 Akbarnama Volume I. 1 2 Erskine, William (1854). A History of India Under the Two First Sovereigns of the House of Taimur, Báber and Humáyun, Volume 2. Longman, Brown, Green, and Longmans. pp. 403, 404. ISBN 9781108046206. 1 2 Mehta, Jaswant Lal (1986). Advanced Study in the History of Medieval India. Sterling Publishers Pvt. Ltd. p. 189. ISBN 8120710150. 1 2 Ferishta, Mahomed Kasim (2013). History of the Rise of the Mahomedan Power in India, Till the Year AD 1612. Cambridge University Press. p. 169. ISBN 978-1-108-05555-0. 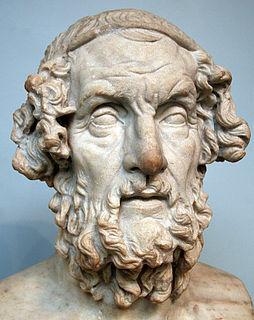 1 2 Eraly, Abraham (2000). Emperors of the Peacock Throne : the saga of the great Mughals. Penguin books. pp. 123, 272. ISBN 9780141001432. 1 2 Robinson, Annemarie Schimmel ; translated by Corinne Attwood ; edited by Burzine K. Waghmar ; with a foreword by Francis (2005). The empire of the Great Mughals : history, art and culture (Revised ed.). Lahore: Sang-E-Meel Pub. p. 149. ISBN 9781861891853. ↑ "Gurdas". Government of Punjab. Archived from the original on 27 May 2008. Retrieved 30 May 2008. ↑ History Gurdaspur district website. 1 2 Lal, Ruby (2005). Domesticity and Power in the Early Mughal World. Cambridge University Press. p. 140. ISBN 978-0-521-85022-3. 1 2 Kulke, Hermann (2004). A history of India. Routledge. p. 205. ISBN 978-0-415-32920-0. ↑ Schimmel, Annemarie (2004). The Empire of the Great Mughals: History, Art, and Culture. Reaktion Books. p. 88. ISBN 978-1-86189-185-3. ↑ Richards, John F. (1996). The Mughal Empire. Cambridge University Press. p. 288. ISBN 978-0-521-56603-2. ↑ Elgood, Robert (1995). Firearms of the Islamic World. I.B.Tauris. p. 135. ISBN 978-1-85043-963-9. ↑ Gommans, Jos (2002). 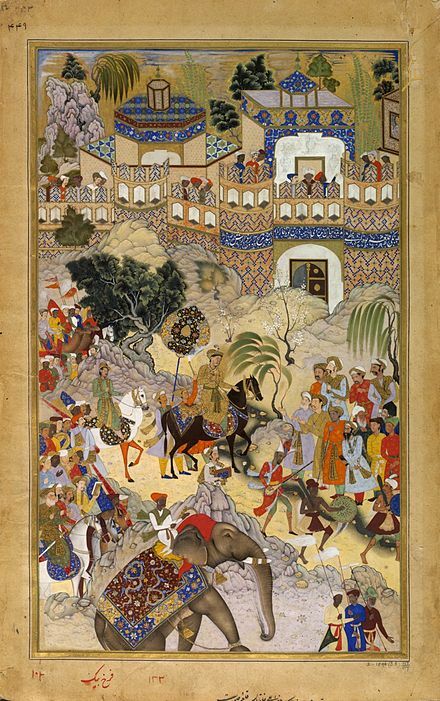 Mughal Warfare: Indian Frontiers and High Roads to Empire, 1500–1700. Routledge. p. 134. ISBN 978-0-415-23988-2. 1 2 3 4 5 Eraly, Abraham (2000). Emperors of the Peacock Throne: The Saga of the Great Mughals. Penguin Books India. pp. 118–124. ISBN 978-0-14-100143-2. 1 2 3 4 5 Richards, John F. (1996). The Mughal Empire. Cambridge University Press. pp. 9–13. ISBN 978-0-521-56603-2. 1 2 3 4 5 6 7 8 9 10 11 Richards, John F. (1996). The Mughal Empire. Cambridge University Press. pp. 14–15. ISBN 978-0-521-56603-2. 1 2 3 4 5 6 7 8 9 10 11 Eraly, Abraham (2000). Emperors of the Peacock Throne: The Saga of the Great Mughals. Penguin Books India. pp. 140–141. ISBN 978-0-14-100143-2. 1 2 Richards, John F. (1996). The Mughal Empire. Cambridge University Press. pp. 17–21. ISBN 978-0-521-56603-2. 1 2 3 4 5 6 7 Chandra, Satish (2005). Medieval India: From Sultanat to the Mughals Part - II. Har-Anand Publications. pp. 105–106. ISBN 978-81-241-1066-9. ↑ Chandra, Satish (2001). Medieval India: From Sultanat to the Mughals Part I. Har-Anand Publications. p. 107. ISBN 81-241-0522-7. ↑ Payne, Tod (1994). Tod's Annals of Rajasthan: The Annals of Mewar. Asian Educational Services. p. 71. ISBN 81-206-0350-8. ↑ Eraly, Abraham (2007). The Mughal World. Penguin Books India. p. 11. ISBN 978-0-14-100143-2. 1 2 3 4 5 6 7 8 9 10 11 12 13 14 Eraly, Abraham (2000). Emperors of the Peacock Throne: The Saga of the Great Mughals. Penguin Books India. pp. 143–147. ISBN 978-0-14-100143-2. ↑ Hastings, James (2003). Encyclopedia of Religion and Ethics Part 10. Kessinger Publishing. ISBN 0-7661-3682-5. ↑ "Rana Pratap Singh - Indian ruler". 1 2 Richards, John F. (1996). The Mughal Empire. Cambridge University Press. p. 32. ISBN 978-0-521-56603-2. 1 2 3 4 5 6 7 8 9 10 11 12 13 Eraly, Abraham (2000). Emperors of the Peacock Throne: The Saga of the Great Mughals. Penguin Books India. pp. 148–154. ISBN 978-0-14-100143-2. ↑ Pletcher, Kenneth (2010). Emperors of the Peacock Throne: The Saga of the Great Mughals. The Rosen Publishing Group. p. 170. ISBN 978-1-61530-201-7. 1 2 3 "The Age of Akbar". columbia.edu. Retrieved 31 May 2013. 1 2 3 4 5 6 Dani, Ahmad Hasan Dani; Chahryar Adle; Irfan Habib (2002). History of Civilizations of Central Asia: Development in Contrast: From the Sixteenth to the Mid-Nineteenth Century. UNESCO. pp. 276–277. ISBN 978-92-3-102719-2. 1 2 3 4 5 6 7 8 9 10 11 Richards, John F. (1996). The Mughal Empire. Cambridge University Press. pp. 49–51. ISBN 978-0-521-56603-2. ↑ Markovitz, Claude (2002). A History of Modern India: 1480–1950. Anthem Press. p. 93. ISBN 978-1-84331-004-4. 1 2 3 4 5 6 7 8 9 10 Eraly, Abraham (2000). Emperors of the Peacock Throne: The Saga of the Great Mughals. Penguin Books India. pp. 156–157. ISBN 978-0-14-100143-2. 1 2 3 4 Mehta, J.L. (1986). Advanced Study In The History Of Medieval India. Sterling Publishers. p. 258. ISBN 978-81-207-1015-3. ↑ Houtsma, M.T. (1993). E. J. Brill's First Encyclopaedia of Islam, 1913–1936, Volume 4. BRILL. p. 711. ISBN 978-90-04-09796-4. 1 2 3 4 Floor, Willem; Edmund Herzig (2012). Iran and the World in the Safavid Age. I.B.Tauris. p. 136. ISBN 978-1-85043-930-1. 1 2 Sen, Sailendra (2013). A Textbook of Medieval Indian History. Primus Books. pp. 164, 188. ISBN 978-93-80607-34-4. ↑ Petersen, A. (1996). Dictionary of Islamic Architecture. New York: Routledge. ↑ "Economic and Social Developments under the Mughals". columbia.edu. Retrieved 30 May 2013. 1 2 3 Levi, S. C. (2002). The Indian Diaspora in Central Asia and Its Trade: 1550–1900. BRILL. p. 39. ISBN 978-90-04-12320-5. ↑ Eraly, Abraham (2000). Emperors of the Peacock Throne, The Saga of the Great Mughals. Penguin Books India. p. 136. ISBN 0-14-100143-7. ↑ Alam, Muzaffar; Subrahmanyam, Sanjay (1998). The Mughal State, 1526–1750. Oxford University Press. p. 177. ISBN 978-0-19-563905-6. ↑ Maryam Juzer Kherulla (12 October 2002). "Profile: Tansen — the mesmerizing maestro". Dawn. Archived from the original on 21 November 2007. Retrieved 2 October 2007. ↑ Dodwell, Henry H., ed. (1929). The Cambridge history of the British Empire. Volume IV: British India, 1497–1858. Cambridge: The University Press. p. 14. OCLC 1473561. ↑ Frances Pritchett. "XVI. Mughal Administration". Columbia.edu. Retrieved 18 January 2014. ↑ Frances Pritchett. "XIX. A Century of Political Decline: 1707–1803". Columbia.edu. Retrieved 18 January 2014. ↑ Akbar's letter of invitation in: John Correia-Afonso, Letters from the Mughal Court, Bombay, 1980. ↑ Gomez, Oscar R (2013). Tantrism in the Society of Jesus - from Tibet to the Vaticcan today. Editorial MenteClara. p. 58. ISBN 978-987-24510-3-5. ↑ du Jarric, Pierre (1926). Akbar and the Jesuits. Broadway Travellers. Translated by Payne, C. H. London: Harper & Brothers. ↑ Durant, Will (7 June 2011). Our Oriental Heritage: The Story of Civilization. Simon and Schuster. pp. 738–. ISBN 978-1-4516-4668-9 . Retrieved 27 August 2012. ↑ Frances Pritchett. "XII. Religion at Akbar's Court". Columbia.edu. Retrieved 18 January 2014. ↑ Farhan Ahmad Nizami (1 January 2014). "Six Ottoman Documents On Mughal-Ottoman Relations During The Reign Of Akbar". Jis.oxfordjournals.org. Retrieved 18 January 2014. ↑ "Book Reviews: Naimur Rahman Farooqi, Mughal-Ottoman Relations: A Study of the Political and Diplomatic Relations between Mughal India and the Ottoman Empire, 1556–1748, Delhi". Ier.sagepub.com. 1 June 1994. Retrieved 18 January 2014. ↑ Farooqi, Naimur Rahman (1989). Mughal-Ottoman relations: a study of political & diplomatic relations between Mughal India and the Ottoman Empire, 1556–1748. Delhi: Idarah-i Adabiyat-i Delli. OCLC 20894584. ↑ Ottoman court chroniclers (1578). Muhimme Defterleri, Vol. 32 f 292 firman 740, Shaban 986. ↑ Khan, Iqtidar Alam (1999). Akbar and his age. Northern Book Centre. p. 218. ISBN 978-81-7211-108-3. 1 2 3 Faroqhi, Suraiya (3 March 2006). The Ottoman Empire and the World Around It. I.B.Tauris. pp. 180–. ISBN 978-1-84511-122-9. ↑ Ottoman court chroniclers (1588). Muhimme Defterleri, Vol. 62 f 205 firman 457, Avail Rabiulavval 996. ↑ Keene, Henry George (1879). The Turks in India. London: W. H. Allen. OCLC 613242467. ↑ "Din-i Ilahi — Britannica Online Encyclopedia". Britannica.com. Retrieved 18 July 2009. ↑ Gómez, Oscar R. (2013). Tantrism in the Society of Jesus - from Tibet to the Vaticcan today. Editorial MenteClara. p. 51. ISBN 978-987-24510-3-5. ↑ Sharma, Sri Ram (1988). The Religious Policy of the Mughal Emperors. Munshiram Manoharlal Publishers. p. 42. ISBN 81-215-0395-7. ↑ Roy Choudhury, Makhan Lal (1985) [First published 1941]. The Din-i-Ilahi, or, The religion of Akbar (3rd ed.). New Delhi: Oriental Reprint. ISBN 81-215-0777-4. ↑ Koka, Aziz (1594). King's College Collection, MS 194. This letter is preserved in Cambridge University Library. p. ff.5b–8b. ↑ Conder, Josiah (1828). The Modern Traveller: a popular description. R.H.Tims. p. 282. ↑ Deefholts, Margaret; Deefholts, Glenn; Acharya, Quentine (2006). The Way We Were: Anglo-Indian Cronicles. Calcutta Tiljallah Relief Inc. p. 87. ISBN 0-9754639-3-4. ↑ Sanghmitra. Jain Dharma ke Prabhavak Acharya. Jain Vishwa Bharati, Ladnu. ↑ Truschke, Audrey. "Jains and the Mughals". JAINpedia. ↑ Truschke, Audrey. "Setting the Record Wrong: A Sanskrit Vision of Mughal Conquests". ↑ "Ahmedabad turned Akbar veggie". The Times of India. 23 November 2009. Retrieved 23 November 2009. ↑ Habib, Irfan (September – October 1992). "Akbar and Technology". Social Scientist. 20 (9–10): 3–15. doi:10.2307/3517712. JSTOR 3517712. ↑ Richards, John F. (1996). The Mughal Empire. Cambridge University Press. p. 35. ISBN 978-0-521-56603-2. 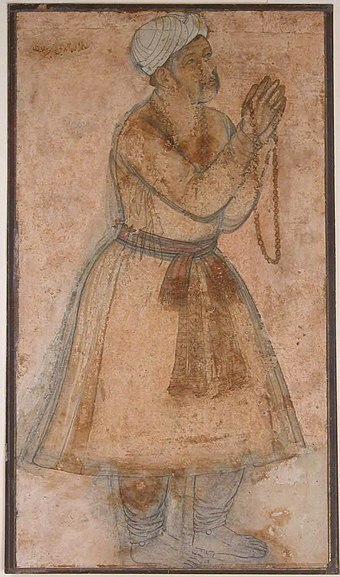 ↑ Jahangir (1600s). 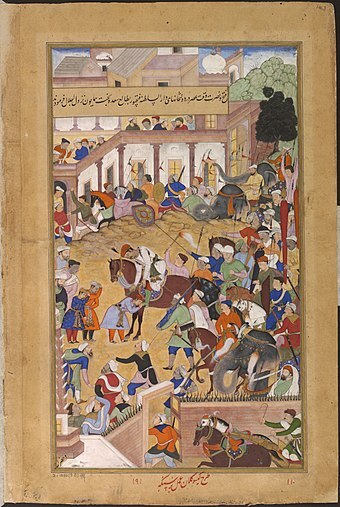 Tuzk-e-Jahangiri (Memoirs of Jahangir). ↑ Codrington, K. de B. (March 1943). "Portraits of Akbar, the Great Mughal (1542–1605)". The Burlington Magazine for Connoisseurs . 82 (480): 64–67. JSTOR 868499. ↑ Garbe, Richard von (1909). 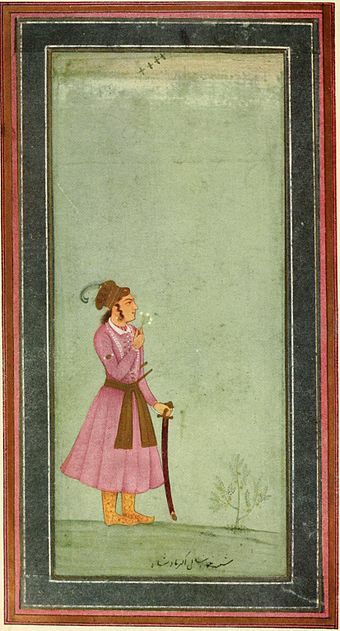 Akbar, Emperor of India. Chicago-The Open Court Publishing Company. ↑ Richards, John F. (1996). The Mughal Empire. Cambridge University Press. p. 15. ISBN 978-0-521-56603-2. ↑ Hardwar Ain-e-Akbari, by Abul Fazl 'Allami, Volume I, A'I'N 22. The A'bda'r Kha'nah. P 55. Translated from the original Persian, by Heinrich Blochmann and Colonel Henry Sullivan Jarrett, Asiatic society of Bengal. 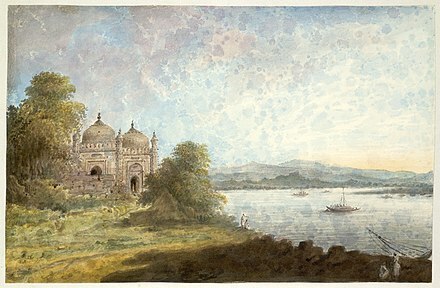 Calcutta, 1873 – 1907. ↑ "1200—1750". University of Hamburg. Archived from the original on 22 February 2008. Retrieved 30 May 2008. 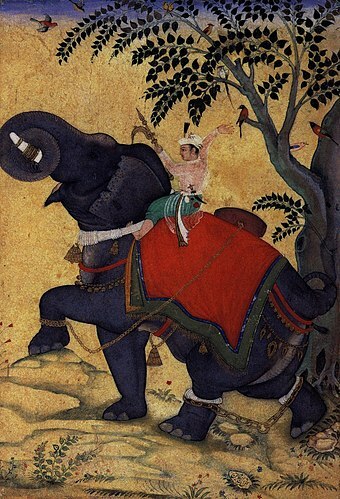 1 2 "Art Access: Indian, Himalayan, and Southeast Asian - The Art Institute of Chicago". www.artic.edu. ↑ Jahangir & Thackston 1999, p. 40. ↑ Gulbadan Begum, Annette Susannah Beveridge (1902). Humayun Nama. Sang-e-Meel Publications. pp. 274–5. 1 2 3 4 Burke, S. M. (1989). Akbar: The Greatest Mogul. Munshiram Manoharlal Publishers. pp. 142, 143, 144. ↑ Beveridge, 1907 & Volume II, p. 88. ↑ Jahangir & Thakston 1999, p. 140. ↑ Beveridge, 1907 & Volume II, p. 240-3. ↑ Jahangir & Thackston 1999, p. 397. ↑ Abd-ul-Qadir bin Maluk Shah (1884). Muntakhab-ut-Tawarikh by Al-Badaoni translated from the original Persian by W.H. Lowe - Volume II. Asiatic Society of Bengal, Calcutta. pp. 59–60. ↑ Maulavi Abdur Rahim. Ma'asir al-Umara by Nawab Shams-ud-Daulah Shahnawaz Khan - Volume II (Persian). Asiatic Society of Bengal, Calcutta. pp. 564, 566. ↑ Beveridge, 1907 & Volume II, p. 352. ↑ Quddusi, Mohd. Ilyas (2002). Khandesh under the Mughals, 1601-1724 A.D.:mainly based on Persian sources. Islamic Wonders Bureau. p. 4. ↑ Beveridge, 1907 & Volume II, p. 518. ↑ Beveridge, 1907 & Volume II, p. 518-9. ↑ Beveridge, 1907 & Volume II, p. 283. ↑ Hasan Siddiqi, Mahmudul (1972). History of the Arghuns and Tarkhans of Sindh, 1507–1593: An Annotated Translation of the Relevant Parts of Mir Ma'sums Ta'rikh-i-Sindh, with an Introduction & Appendices. Institute of Sindhology, University of Sind. p. 166. ↑ Ahsan, Aitzaz (1 August 2005). The Indus Saga. Roli Books Private Limited. ISBN 978-9-351-94073-9. ↑ Akhtar, Muhammad Saleem (1983). Sindh under the Mughals: An Introduction to, translation of and commentary on the Mazhar-i Shahjahani of Yusuf Mirak (1044/1634). pp. 78, 79, 81. ↑ Beveridge, 1907 & Volume III, p. 167-8. ↑ Beveridge, 1907 & Volume III, p. 278. ↑ Beveridge, 1907 & Volume III, p. 295. ↑ Jahangir & Thackston 1999, p. 39. ↑ Beveridge, 1907 & Volume III, p. 661. ↑ Beveridge, 1907 & Volume III, p. 958. ↑ Beveridge, 1907 & Volume III, p. 985. ↑ Vīrasiṃha, 2006, "The Jats: Their Role & Contribution to the Socio-economic Life and Polity of North & North-west India, Volume 2", University of Michigan, Page 100-102. ↑ Edward James Rap;son, Sir Wolseley Haig and Sir Richard, 1937, "The Cambridge History of India", Cambridge University Press, Volume 4, pp.305. ↑ Waldemar Hansen, 1986, "The Peacock Throne: The Drama of Mogul India", Page 454. ↑ Reddy, 2005, "General Studies History for UPSC", Tata McGraw-Hill, Page B-46. ↑ Catherine Blanshard Asher, Catherine Ella Blanshard Asher, 1992, "Architecture of Mughal India - Part 1", Cambridge university Press, Volume 4, Page 108. ↑ Lucy Peck, 2011, The Architectural Heritage, INTACH. ↑ Ernest Binfield Havell, 1904, A Handbook to Agra and the Taj: Sikandra, Fatehpur-Sikri and the Neighbourhood, p. ci. ↑ Frederic Courtland Penfield, 1907, East of Suez Ceylon, India, China, and Japan, p. 179. ↑ Meenakshi Khanna (2007). Cultural History Of Medieval India. Berghahn Books. pp. 34–35. ISBN 978-81-87358-30-5 . Retrieved 30 June 2013. ↑ The Imperial and Asiatic Quarterly Review and Oriental and Colonial Record. Oriental Institute. 1900. pp. 158–161. Retrieved 29 June 2013. ↑ Farzeen, Sana (11 April 2017). "Abhishek Nigam to play the grown-up Akbar in Big Magic show". Tellychakkar.com. Tellychakkar.com. Retrieved 18 July 2017. ↑ Dr. B. P. Saha (1997). Begams, concubines, and memsahibs. Vikas Pub. House. p. 20. Chua, Amy (2007). Day of Empire: How Hyperpowers Rise to Global Dominance--and Why They Fall. Doubleday. ISBN 978-0-385-51284-8. Collingham, Lizzie (2006). Curry: A Tale of Cooks and Conquerors. Oxford University Press. ISBN 978-0-19-532001-5. Sangari, Kumkum (2007). "Akbar: The Name of a Conjuncture". In Grewal, J.S. (ed.). The State and Society in Medieval India. New Delhi: Oxford University Press. pp. 475–501. ISBN 978-0-19-566720-2. Sarkar, Jadunath (1984). A History of Jaipur. New Delhi: Orient Longman. ISBN 81-250-0333-9. Smith, Vincent Arthur (1917). 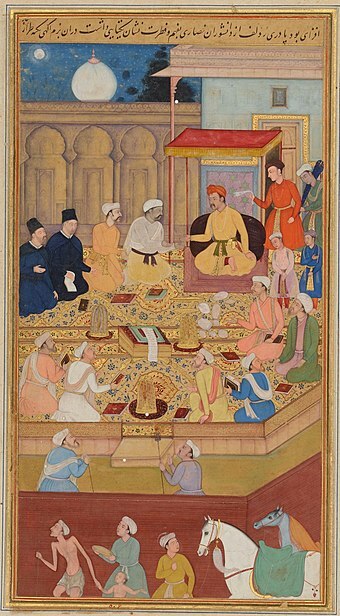 Akbar the Great Mogul, 1542–1605. Oxford at The Clarendon Press. Beveridge, Henry (1907). Akbarnama of Abu'l-Fazl ibn Mubarak - Volume II. Asiatic Society, Calcutta. Beveridge, Henry (1907). Akbarnama of Abu'l-Fazl ibn Mubarak - Volume III. Asiatic Society, Calcutta. Jahangir, Emperor; Thackston, Wheeler McIntosh (1999). The Jahangirnama : memoirs of Jahangir, Emperor of India. Washington, D. C.: Freer Gallery of Art, Arthur M. Sackler Gallery, Smithsonian Institution; New York: Oxford University Press. pp. 168, 316. Wiegand, Wayne A.; Davis, Donald G., eds. (1994). Encyclopedia of Library History. Garland Publishing, Inc.
Augustus, Frederick (1890). The Emperor Akbar, a contribution towards the history of India in the 16th century (Vol. 1). Translated by Annette Susannah Beveridge. Thacker, Spink and Co., Calcutta. Augustus, Frederick (1890). Gustav von Buchwald (ed.). The Emperor Akbar, a contribution towards the history of India in the 16th century (Vol. 2). Translated by Annette Susannah Beveridge. Thacker, Spink and Co., Calcutta. Malleson, Colonel G. B. (1899). 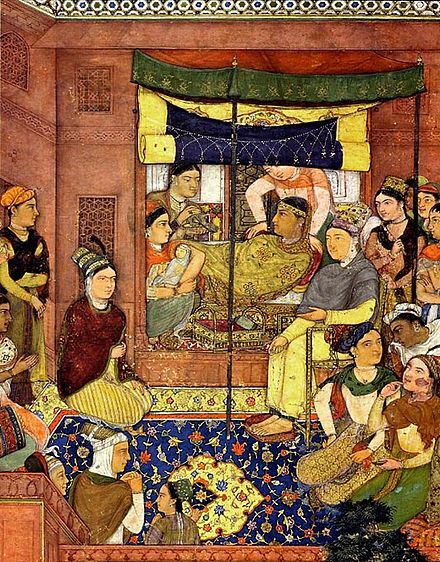 Akbar And The Rise Of The Mughal Empire. Rulers of India series. Oxford at the Clarendon Press. Havell, E. B. (1918). The History of Aryan Rule In India from the earliest times to the death of Akbar. Frederick A. Stokes Co., New York. Shrivastava, A. L. (1957). A short history of Akbar the Great. Shiva Lal Agarwala. 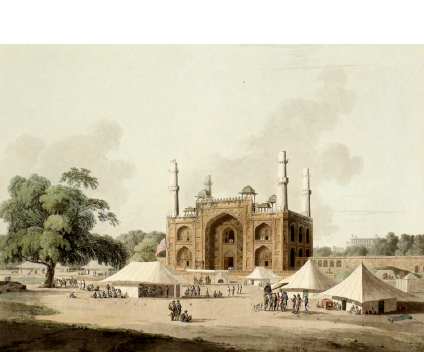 Wikimedia Commons has media related to Akbar I .
Wikisource has the text of the 1911 Encyclopædia Britannica article Akbar, Jellaladin Mahommed . The Drama of Akbar by Muhammad Husain Azad from 1922.